Farid Ahmed survived the Christchurch terror attacks on two mosques, but he lost his wife while she tried to save him, as he is bound by a wheelchair. Husna Ahmed was a teacher in one of the mosques. She ran to help keep safe the children and other women who had come to pray last Friday. They managed to escape the shooting, but when she came back to help her husband, she did not survive. Farid did. He has said he forgives the terrorist, and he is sure that his wife would too. Now he will be a father and a mother for his 15-year-old daughter. “I was asked ‘how do you feel about the person who killed your wife?’ and I said ‘I love that person because he is a human, a brother of mine“, Farid Ahmed told the New Zealand Herald newspaper. “I do not support what he did (…). I have forgiven him and I am sure, if my wife was alive, she would have done the same thing. I hold no grudge.” He avoids using the word “terrorist”. He says that at night, when he was thinking about his loss and everything that happened, the terrorist also came to his mind. And his reaction was to embrace him and his whole family. Last Friday, when the terrorist entered Al Noor mosque to which they had come to pray, his wife, Husna, ran to a side door of the temple with other women and children to save them, the newspaper explains. Having achieved this, Husna came back to help her husband, in a wheelchair for 6 years now due to an accident. But she got shot before being able to get to him. Farid was in a room next to the main one and did not see what was happening. At one point, he decided to try to get out alone. He made it and took refuge next to his car, parked just outside the mosque. He recalls that when he thought the attack had finished, he went back inside with another man in search of his wife and the other women, in case they had not managed to flee. 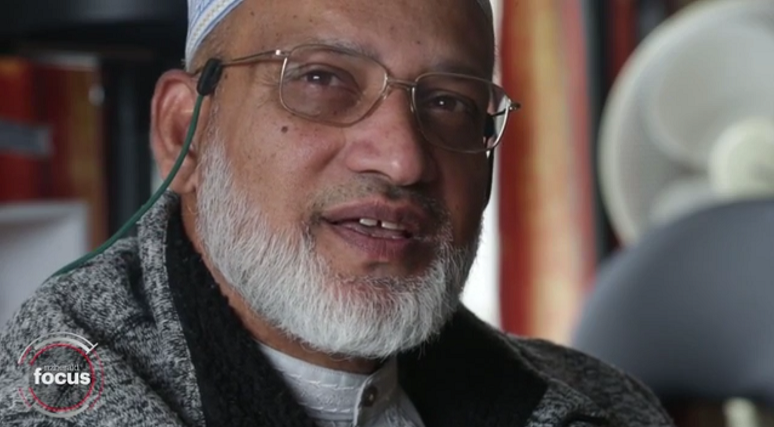 Farid is a senior member of the mosque and had given sermons in the temple for almost three years, so he knew most people, explains the New Zealand Herald. The worst thing for him was having to tell the news to his 15-year-old daughter, Shifa. He breaks into tears when he remembers that she asked him: “Are you telling me I don’t have any mother?” He replied that from now on he would be his father and mother and that they would face it. The terrorist – presumably Brenton Tarrant, the only one accused of the attack – killed 50 people and wounded 50 more. There are also several children among the victims, as small as a survivor of two years or Mucad Ibrahim, who is believed to be the youngest deceased and who was only three years old.